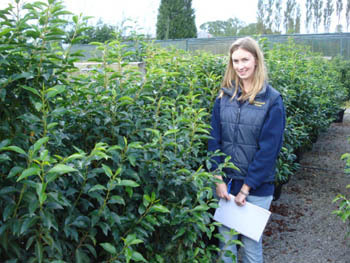 Prunus Lusitanica - Portuguese Laurels are evergreen hedges. They are part of the cherry laurel family. The Lusitanica's have deep red shoots bearing deep green ovate leaves. They have small fragrant white flowers in racemes in early Summer followed often by purple fruits. 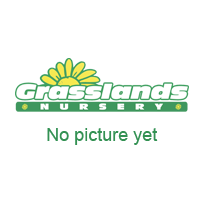 They do make great hedges and they are easy to grow as they can be grown in moist well drained soils , then even thrive in poor shallow chalky soils. They are very easy to prune and need to be done about twice a year. Once trimmed they form a lovely shaped hedge. Trim your laurel hedge in late spring or early summer as the hedge will produce new shoots very quickly at this time of year to cover up any leaves that are left looking “tatty” after using a hedgetrimmer . You can use secateurs on a small hedge or a hedgetrimmer on a larger hedge. Prunus lusitanica don't really have any dislikes as they are happy to be grown in cold and exposed sites, heavy clay soils, even suitable for full shade. They need just a general purpose feed such as chicken pellets or bonemeal.